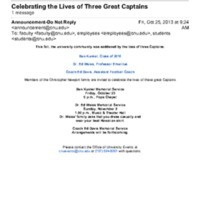 CNU student Winston A. Soares, Jr., passed away at Riverside Hospital. 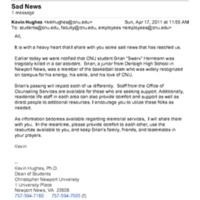 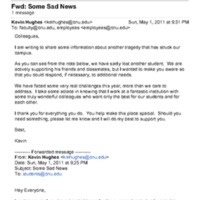 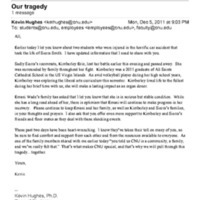 An email announcing the death of CNU student Nick Smith. 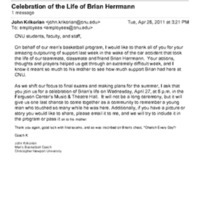 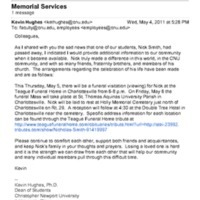 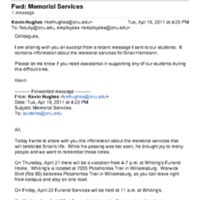 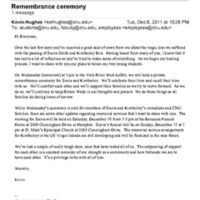 An email providing information on the visitation and funeral for Nick Smith, a CNU student. 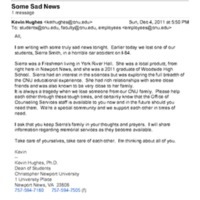 An email announcing the passing of Sierra Smith a Freshman at CNU.